The three-time Tony Award winner and Academy Award winner will return to Broadway this winter. 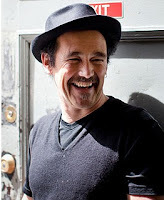 Rylance (Twelfth Night, Bridge of Spies) leads the cast of Farinelli and the King, a new play by Clair van Kampen that premiered at Shakespeare's Globe in 2015. As noted in the announcement on Playbill, Farinelli and the King is "inspired by the true story of the Italian castrato opera singer," and includes many Handel arias. 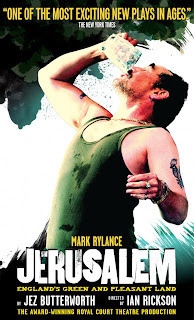 Previews at Broadway's Belasco Theatre (where Rylance was last in the dual Twelfth Night/Richard III productions) begin December 5, with opening night set for December 17. The limited engagement is scheduled to conclude March 25, 2018. 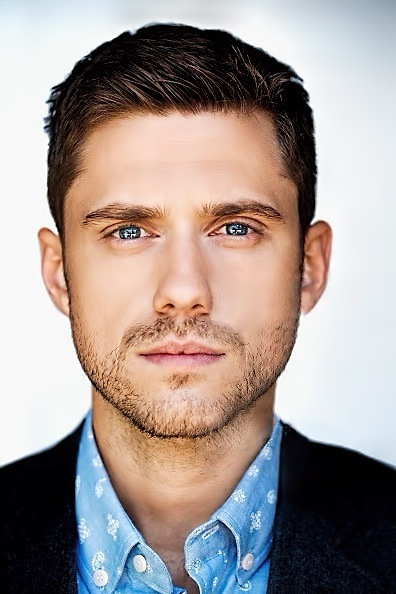 This is not a drill: Aaron Tveit will play Bobby in Company this summer! The stage and screen vet (Next to Normal, Graceland) will take on the lead role of Stephen Sondheim's musical at the Barrington Stage Company in Pittsfield, MA, August 10-September 2. Visit the Barrington Stage Company's website for more. Stage and screen veteran Stockard Channing (The West Wing, Other Desert Cities) will guest star in season three of Difficult People. Another stage and screen vet, John Turturro (The Big Lebowski, Zorba), will also guest star in the upcoming season, which returns to Hulu August 8. Entertainment Tonight online has more. Andre Holland (Moonlight, Jitney) has been cast in the upcoming Hulu–Stephen King series, Castle Rock. As reported in Variety, Holland will play "a death row attorney with a unique and complicated history in the" fictional town of Castle Rock, Maine, where many of King's novels have been set. Additional (and complete) casting has been announced for the Public's production of Hamlet. 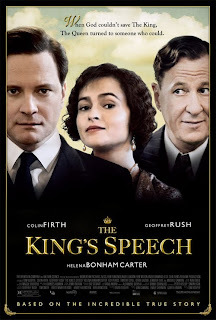 Joining star Oscar Isaac are Ritchie Coster and Charlayne Woodward as Claudius and Gertrude, respectively. Previews begin June 20, with opening night set for July 13. At this time, the limited engagement is scheduled to conclude September 3. Playbill has more. It's not set in stone, but Variety reports Jake Gyllenhaal (Nightcrawler, Sunday in the Park with George) will star alongside Benedict Cumberbatch (12 Years a Slave) in the upcoming film, Rio, written by Steve Knight and directed by Luca Guadagnino. According to Variety, Dave Chappelle has joined the growing cast of the A Star is Born remake, directed by Bradley Cooper. 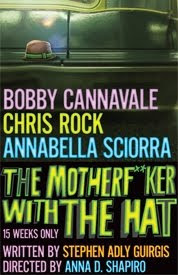 Chappelle joins Cooper, Lady Gaga, and Anthony Ramos. Women's Wear Daily checks in with eight up-and-coming corps de ballet dancers at New York City Ballet. The NYCB spring season continues through the end of the month. Spend a day with Georgina Pazcoguin, the NYCB soloist who took a leave of absence to join the Cats revival. Visit IVY for the video. Former NYCB principal dancer Damian Woetzel has been named the next president of Julliard. Though this will be the first academic administration position for Woetzel, he has recently directed the Aspen Institute Arts Program and the Vail International Dance Festival, and he holds a master's in public administration from Harvard. The New York Times has more. Lucille Lortel Awards—Winners of the Lucille Lortel Awards, which honor excellence in off-Broadway, were announced and honored on Sunday, May 7. 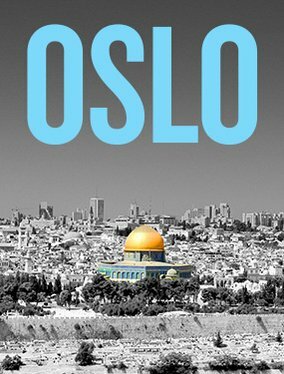 Oslo and The Band's Visit took home tops honors. Oslo actors Jennifer Ehle and Michael Aronov took home acting honors, as did Dear Evan Hansen's Ben Platt and Rachel Bay Jones. Outstanding Scenic Design went to Laura Jellinek for A Life, and Anna Deavere Smith won Outstanding Solo Show for Notes from the Field. 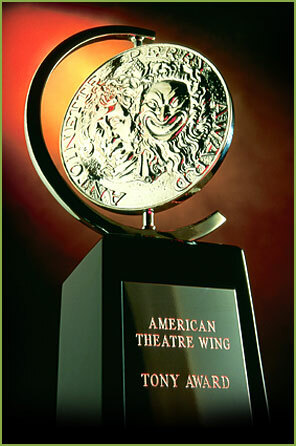 Broadway.com has the full list of winners. Outer Critics Circle Awards—Winners of the Outer Critics Circle Awards, which honor excellence in both Broadway and off-Broadway, were announced this week. Oslo and If I Forget took home top play honors (Broadway and off-Broadway, respectively), while Come From Away and The Band's Visit took home top musical honors. 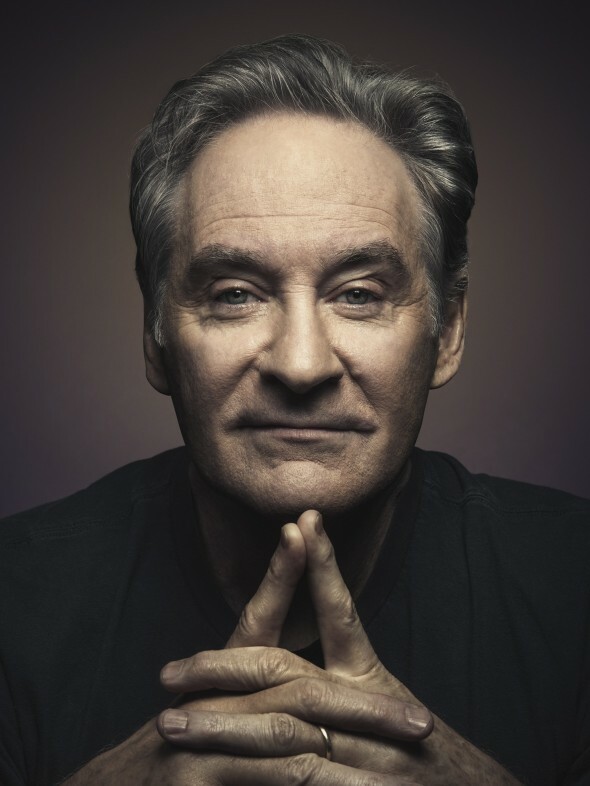 The great Kevin Kline won Outstanding Actor in a Play for Present Laughter, and Mimi Lien and Bradley King won Outstanding Scenic Design and Outstanding Lighting Design, respectively, for Natasha, Pierre, and the Great Comet of 1812. Broadway.com has the full list of winners. Broadway.com Audience Choice Awards—The nominees have been chosen, and voting is now open for the Broadway.com Audience Choice Awards, in which fans pick the winners. Between now and May 17, fans can choose their favorite performances from the 2016-2017 Broadway season. Winners will be announced on May 19, and will be honored at a private reception on May 25. Go vote! Theatre World Awards—Honoring outstanding Broadway or off-Broadway debuts, Theatre World Award winners were announced this week. 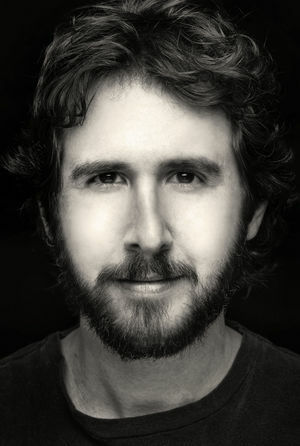 Among those recognized are Natasha, Pierre, and the Great Comet actors Josh Groban, Denee Benton, and Amber Gray, and the show's composer, Dave Malloy, will receive a special award in recognition of his Broadway debut as a composer. Broadway.com has the full list of honorees. NY Drama Critics—The New York Drama Critics' Circle have named Oslo and The Band's Visit best play and musical, respectively, of the season. Special citations were also awarded to Taylor Mac for A 24-Decade History of Popular Music; Ruben Santiago-Hudson and the cast of Jitney; and Paula Vogel, represented on the boards this year with Indecent, for her career achievement as a writer and mentor. Broadway.com had more. Tony Award Predictions—As is tradition, The New York Times theatre critics named their picks for who will win, who should win, and who should have been nominated. (As in years past, the critics open the "who should have been nominated" to productions ineligible for Tonys, which I think is cheating.) New this year is Ben Brantley's co-chief, Jesse Green, who recently joined the Times after long-serving critic Charles Isherwood was abruptly let go. The consensus? There's no consensus. Brantley thinks, for example, that Come from Away will win the top prize, while Green believes Best Musical will go to Dear Evan Hansen. Their picks continue to diverge, with few duplicate picks. Both critics, though, list Jake Gyllenhaal as someone who should have been nominated for Best Lead Actor in a Musical. (Gyllenhaal, of course, was in Sunday in the Park with George; producers, of which Gyllenhaal is one, took the production out of Tony consideration.) Take a look at their picks, and then tune into the Tonys on Sunday, June 11, to find out who's right. 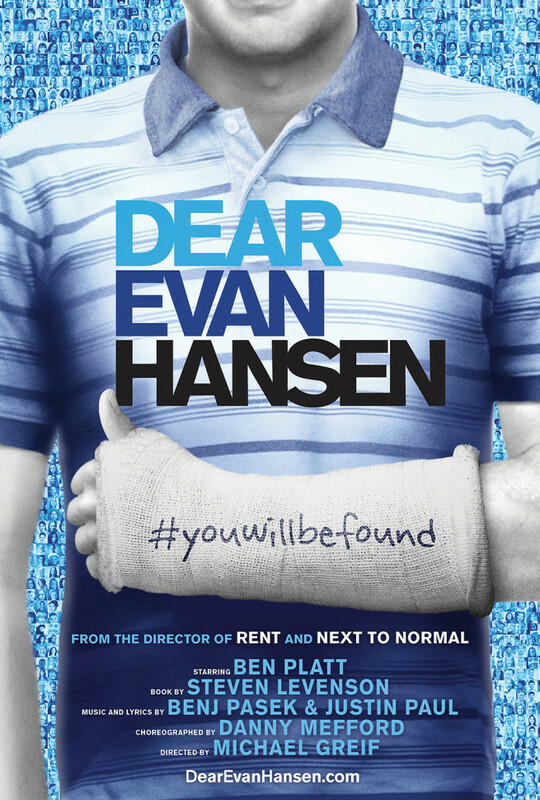 Get an insight into the creation of Dear Evan Hansen. In the Playbill feature, Tony nominee Steven Levenson (who wrote the book for the incredible musical) annotates the first scene of the show. Meanwhile, The New York Times profiled the show's star, Ben Platt. For the story, the Times spoke to Platt's collaborators, mother, and rabbi, among others. The latest Broadway revival of The Glass Menagerie will conclude its run earlier than planned. Led by Sally Field, the production was set to close July 2; instead, it will conclude on May 21. Broadway.com has more. 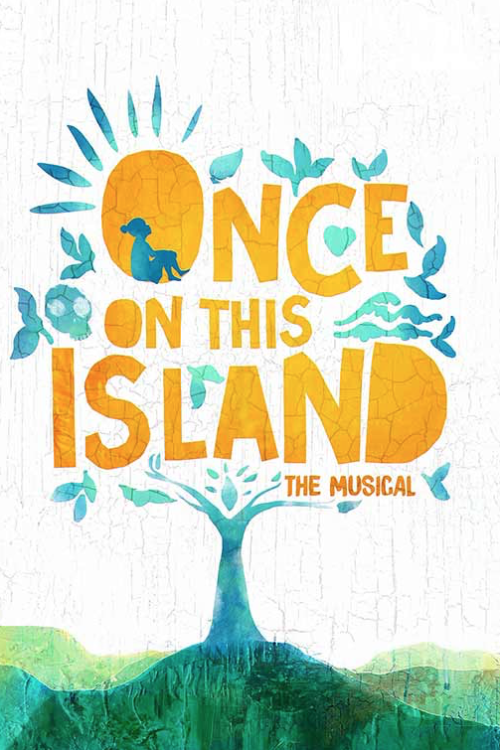 The Broadway revival of Once on this Island will play the Circle in the Square Theatre. As previously announced, previews begin November 9, and opening night is set for December 3. Tony nominee Michael Arden (Spring Awakening) directs. Broadway.com has more. Roundabout Theatre Company has announced an addition to its 2017-2018 season: a revival of Time and the Conways, by J.B. Priestley. The production will be directed by Tony nominee Rebecca Taichman (Indecent), and star Elizabeth McGovern (Downton Abbey). Previews at the American Airlines Theatre begin September 14. Opening night is set for October 10, and the limited engagement is scheduled to conclude on November 26. The Broadway Briefing has more.